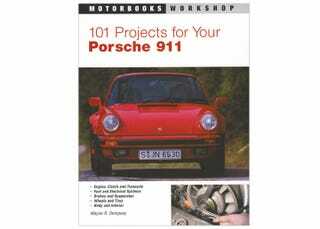 I ordered 101 Projects For Your Porsche 911, the Bentley Service Manual, and the Shop manuals for the 911 today. It needs a brake rebuild, clutch cable adjustment, resealing of every gasket on the motor, hydraulic chain tensioner upgrade, and possibly a new front left strut. Since the Mustang project is tapering down to being close to done, I figured I'd get some books and read through to form a plan of attack.